Samsung complaints number & email. Get verified information about Samsung complaints email & Phone number. To complain to Samsung, contact their complaints line on 1.866.SAM.4BIZ / 1-866-371-9501. They can also be contacted by mail and online contact form if required. Samsung also provide details of independent bodies to contact if you are unable to resolve your complaint direct with the company. Complaints handling is available on the Samsung website via ‘Customer Support.’ The first step is to call on the complaints line 1.866.SAM.4BIZ / 1-866-371-9501. If your complaint is not resolved at this stage, the company’s complaints procedure is clearly set out along with further contact details such as a correspondence address and online contact form. Samsung is a South Korean multinational conglomerate. 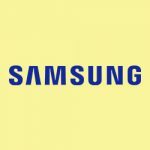 It comprises numerous affiliated businesses, most of them united under the Samsung brand, and is the largest South Korean chaebol. Samsung was founded by Lee Byung-chul in 1938 as a trading company. Samsung entered the electronics industry in the late 1960s and the construction and shipbuilding industries in the mid-1970s. Hopefully, We helped you to get some genuine records for Samsung Complaint information. Use below complaint form to discuss problems you have had with Samsung, or how they have handled your complaints. Initial complaints should be directed to Samsung directly. You can find complaint contact details for Samsung above.